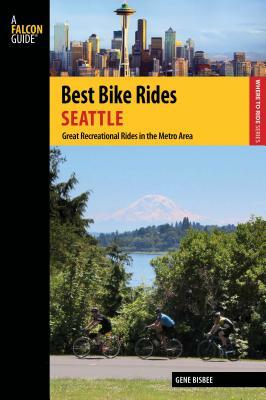 Best Bike Rides Seattle describes 41 of the greatest recreational rides in Seattle. Road rides, rail trails, bike paths, and single-track mountain bike rides all get included. Most rides are in the 5 to 30 mile range, allowing for great afternoon outin. Gene Bisbee is an avid bicyclist who has ridden thousands of miles since he settled in Washington 14 years ago. His Biking Bis blog is followed by cyclists who are interested in recreational bicycling and charity rides throughout the Pacific Coast states. A newspaper reporter and editor for 25 years, he has written bike touring articles for Adventure Cyclist and Recreation News magazines. Making his first overnight bike tour in Ohio as a teenager, years later he and a friend fulfilled a life-long dream of traveling on their bicycles across the United States. He currently lives in Bellevue, Washington, where he writes his blog.